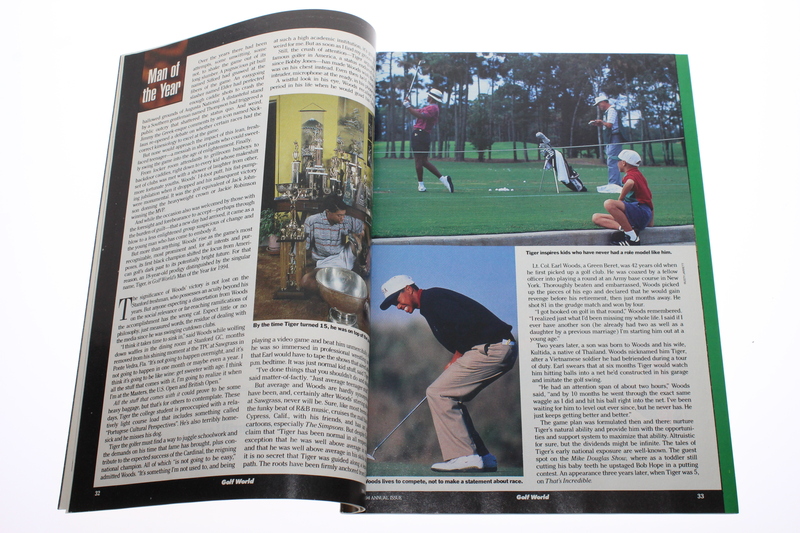 Golf World Magazine named Tiger Woods "Man of the Year" in 1994, putting him on the cover as an 18 year old high school senior. The article inside states he is the "Face of the Future." 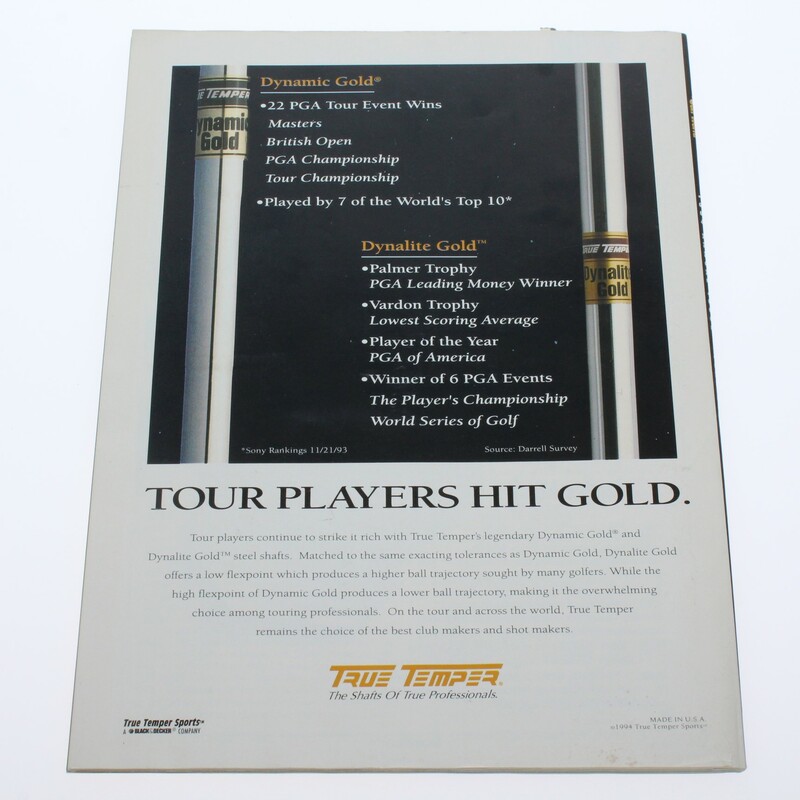 Woods won the first of his three US Amateur titles in 1994 at TPC Sawgrass, defeating Trip Kuehne with incredible play on the very difficult 17th "island green" hole. 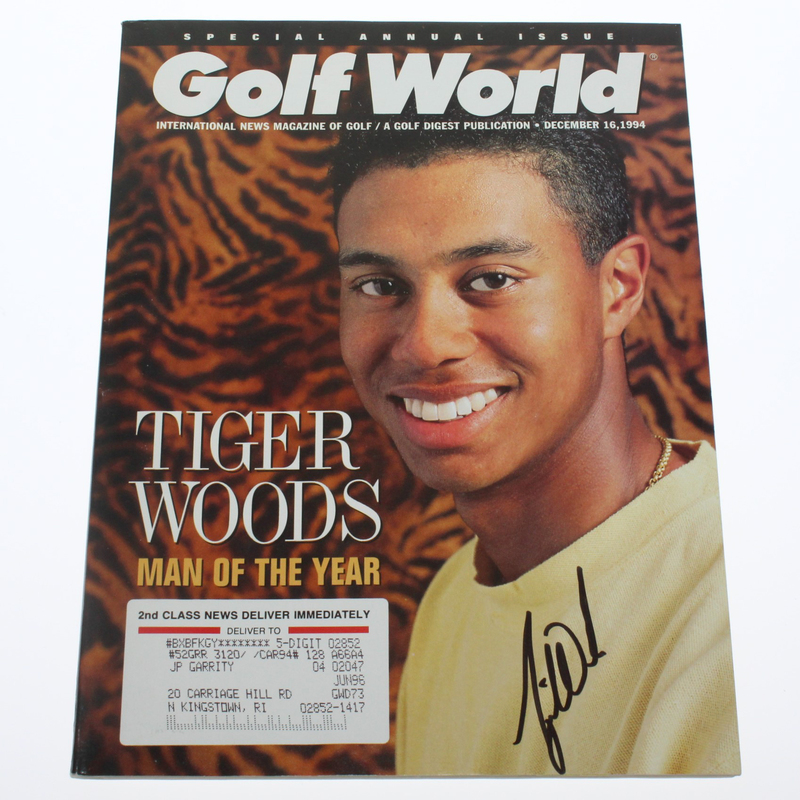 Tiger left his signature here nicely on the cover in black marker. 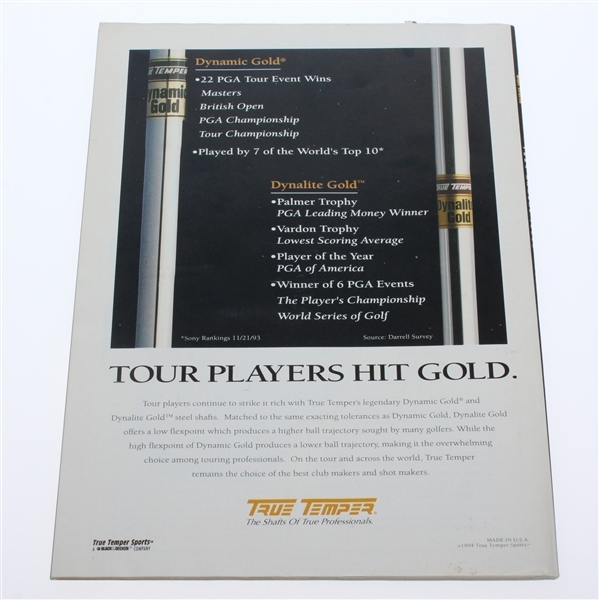 This will make a great addition to any Tiger Woods collection. On September 23, 2018, Tiger reached a new career milestone in winning his 80th PGA Tour event, The Tour Championship. Congrats, Tiger!